One day later a small group of settlers came back to the same grove in Burin. While at the same time a group of villagers arrived with local and international press and tried to prevent them from picking the harvest. The two groups were separated by the Israeli military and policemen, trying to prevent an escalation like the day before. But instead of removing the intruders from the place. 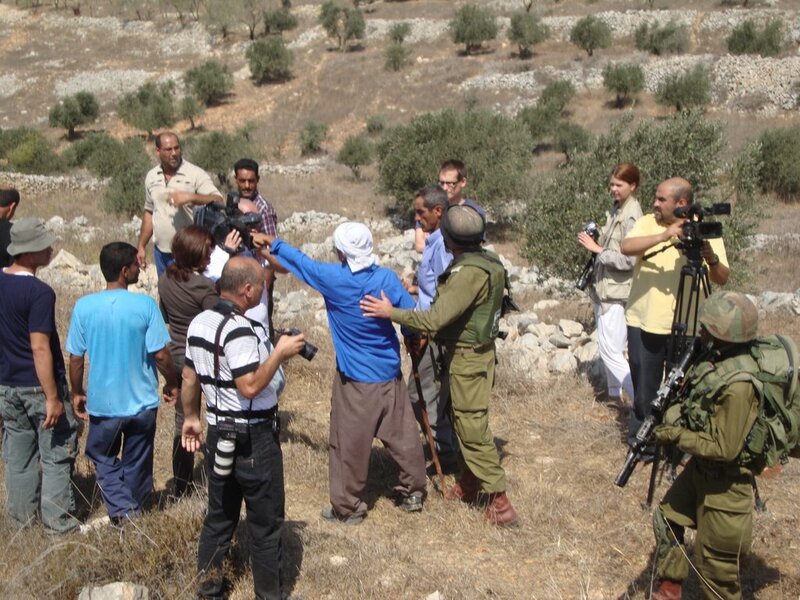 The Palestinian owners of the land were forced to leave. At the same time the army and Israeli police in the West Bank mainly acts for the protection of the settlers and is not providing appropriate protection and security for the Palestinian population. Even so after the Oslo Accords they are responsible for security related issues in about 60% of West Bank territory. Ali Eid himself lost more about 120 olive trees that were chopped down by settlers in 2005. Even so he filed a complain at the District Coordination Office and employed a lawyer no investigations were made by the authorities, no one got arrested let alone a compensation paid for his loss. 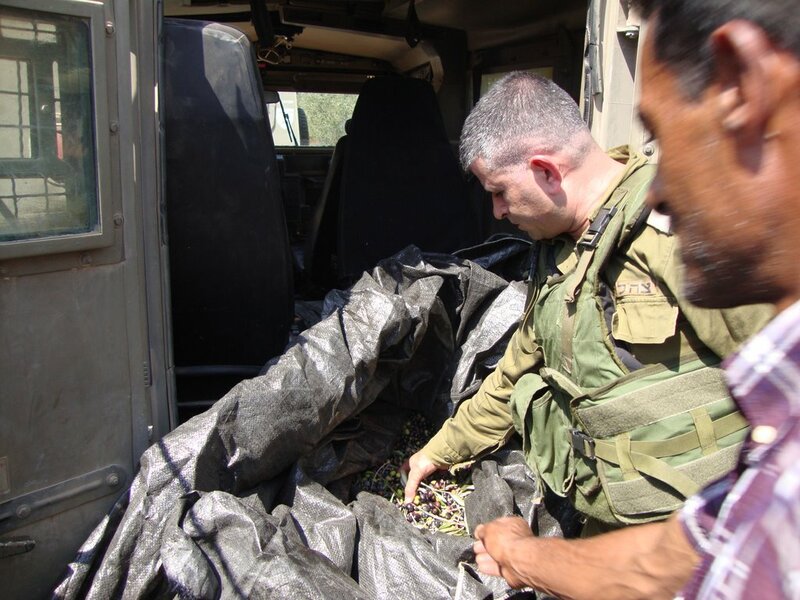 Palestinians entering an Israeli orchard can be charged for tresspassing and theft with a couple of month in prison. 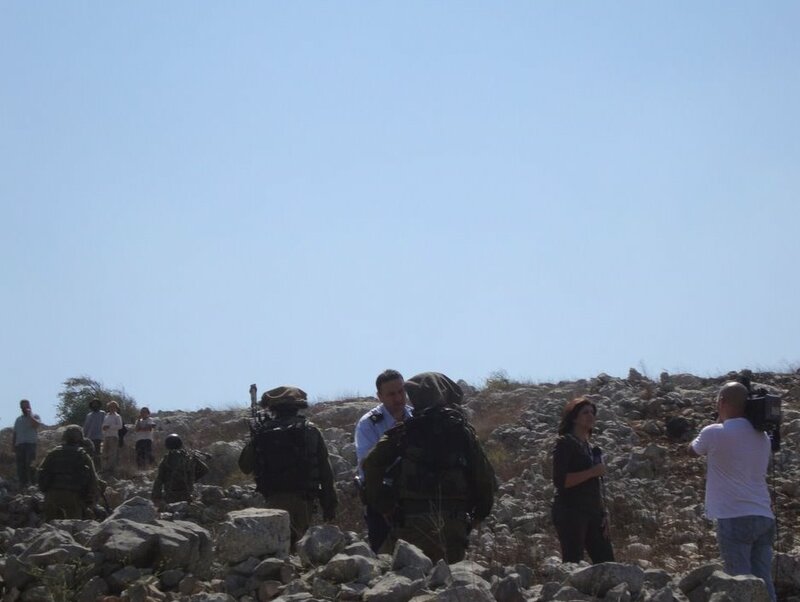 But neither yesterday nor today any arrest were made.The settlers were just turned away which leaves a high risk of having them comming back to try again to steal the olives. At least the army confiscated the already harvested crops. They took them to the police station where the owner of the land can pick them up, when providing the papers proving his ownership. This means half a day of travel and some bureaucratic efforts for the victims of the crime while the perpretators go free.